History shows that the Houston Texans have brought in a lot of new wide receivers through the NFL Draft. Rich Hribar of Rotoworld.com has put together a diagram that shows that the Texans have drafted eight wide receivers over the past five years. This is more than any other team in the NFL. When looking at the success of the receivers listed above, five of the eight players are still on their roster with DeVier Posey being the biggest disappointment. He’s currently in the Canadian Football League, playing for the Toronto Argonauts. 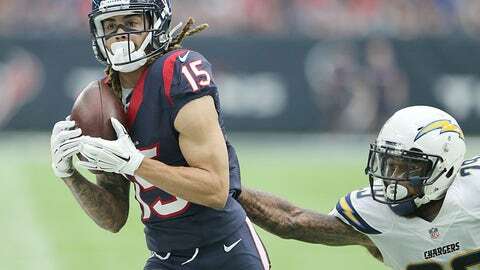 It would truly be a surprise if the Houston Texans draft a wide receiver this year after selecting both Fuller and Miller last year. Both players look very promising after their first NFL season. Though I could see the Texans signing a veteran receiver in order to give them some more stability alongside DeAndre Hopkins. A player like Anquan Boldin or would make a lot of sense.